35 klientów oceniło ten produkt na 5 gwiazdki. I bought 4 of these and they are great! 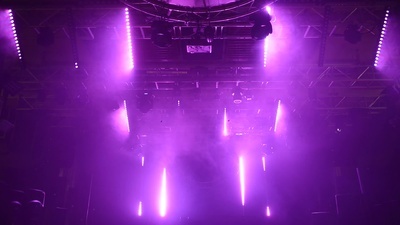 having 18 separate programmable LED's (when on the correct mode) makes for some great effects and can really get creative with it. 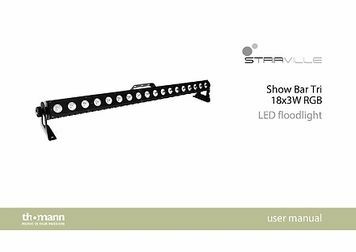 Pixel mapping makes it even simpler. Very punchy. Although a lot of pixel bars now have this, it is also handy to be able to chain their power so can power more than one from one socket. The dimmer curve could be a tad sharper. I did find when the fixture gets down to below 4% intensity it steps down rather than fades before it goes out. One did break on me after a few times of using it. It was, however, sent back to Thomann and they dealt with the issue very well and offered to fix it as was still under warranty. All in all, a great addition to my setup! 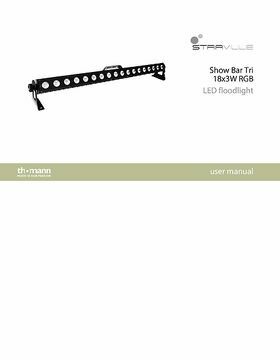 The Stairville Show bar triLED light is well made from metal and comes with three mounting brackets. Two brackets are on the sides for floor mounting or attaching to walls, ceiling or trussing. This are detachable via threads. The third bracket is on the back of the unit, more like a handle. Nice little feature is that it can slide up and down the light for better positioning. DMX in and out is at one end of the unit, power in and link at the other. I would have like the power connectors to be Powercons but at this price you can't argue. The settings screen is LED read out not switches, however 1 of 4 screens has already failed straight out of the box. 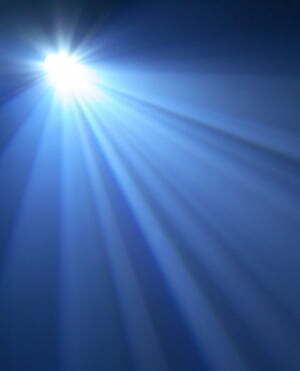 LED's are bright and can be controlled individually. Free UK power cables included! Good units. Will most likely be buying another 4 in the future.  ID: 326889 © 1996–2019 Thomann GmbH Thomann loves you, because you rock!